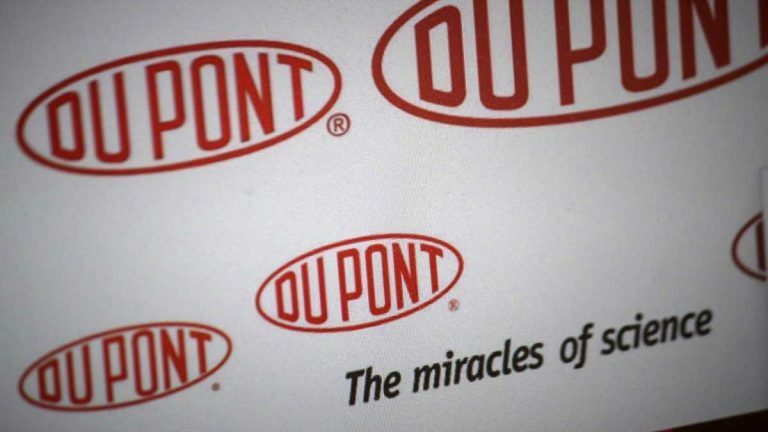 DuPont Co. said weak agricultural sales, a strong dollar and continued weakness in emerging markets contributed to a sharp decrease in third-quarter earnings. “Amid the current challenging macro environment, our priority is to aggressively manage what is within our control, including taking a fresh look at DuPont’s cost structure and capital allocation strategy to identify ways to further improve shareholder return,” said interim Chairman and CEO Ed Breen. Breen took over after the sudden resignation of CEO Ellen Kullman earlier this month. The Wilmington, Delaware, science and chemicals company reported net income of $235 million, or 26 cents per share, compared with $433 million, or 47 cents per share, in the corresponding period last year. Net sales totaled about $4.9 billion, down from $5.9 billion in last year’s third quarter and less than the Wall Street estimate of $5.22 billion. Operating earnings, adjusted to exclude one-time charges and account for discontinued operations and nonrecurring gains, totaled 13 cents per share, down from 39 cents per share in last year’s third quarter. But that beat the 11 cents per share that Wall Street analysts were expecting, according to Zacks Investment Research. DuPont shares rose 97 cents, or 1.6 percent, to $61.34 in morning trading Tuesday. DuPont stuck by its lowered full-year earnings projections of $2.75 per share. The company earlier had projected earns of $3.10 per share. The strong dollar is expected to cut 72 cents per share from earnings for the year, the company said. In a conference call with analysts, Breen refused to say whether he is a candidate to succeed Kullman on a permanent basis. “I will say that the board knows that I am fully engaged,” said Breen, a former Tyco International chairman who joined DuPont’s board in February amid a proxy fight with activist hedge fund investor Nelson Peltz. Peltz, who narrowly lost an election for a board seat in May, had called for DuPont to combine its agriculture, nutrition and health and industrial biosciences units into a single growth company, separate from the more cyclical businesses of performance materials, safety and protection, and electronics and communication. Asked about a possible breakup of DuPont, Breen said only that he has “a very open mind” and will do what’s right for shareholders. For Breen, that means taking a hard look at DuPont’s cost structure, working capital performance and capital spending. “We see opportunities for further improvement in all three areas…. Cost is one of the biggest levers we can control,” he said. Meanwhile, DuPont continues to struggle, with third-quarter volume declines in all regions and in five of its six business units, led by a 17 percent volume decline and $210 million operating loss for its agricultural unit. The company attributed a 7 percent volume gain in its industrial biosciences unit primarily to increased demand in food and home and personal care markets. The DuPont Co. said net income for the first nine months of the year totaled $2.2 billion, or $2.43 per share, down from $2.9 billion, or $3.17 per share, last year. Consolidated net sales totaled $19.8 billion, down from $22.5 billion.